A woman who delivers fabulous color and style! The fashion industry consists of many individuals that contribute to the success of many projects such as photo shoots, fashion shows, and location sets. Color is extremely important when working with makeup, hair the choice of garments to add that special theme. Rashida and her team make it all happen as they unleash their gifted talent on their special assignments. Copa: Where are you from Rashida? Rashida: I am originally from St. Thomas USVI. Which I’m very proud of. It’s a beautiful place, very bright and full of color. When I’m home get such a recharge to all my senses. My mom moved to the states when I was young to complete her degree in education. We remained in Baltimore where I attended school and grew up. I was able to go back and forth often because my dad and most of my family was in St Thomas. Rashida: What schools haven’t I attended? Lol! I proudly graduated from Western High school in Baltimore MD, where I can honestly say all the young ladies were taught to always strive for the best, and be the best. After graduation I moved to Atlanta and attended American Intercontinental University, where I continued my high school concentration of International marketing. A problem arose with funding while I was home and I decided to find a “job” that would help me pay for school and a real life so I enrolled in aesthetic school. During that time fate intervened by introducing me to a session stylist who encouraged me to think about being a colorist. Shortly after I graduated from Von Lee I enrolled in Graham Webb International Academy for hair, which brought me to DC. I also attended Marymount University & American University where I studied communications & design. Copa: When did you discover your creativity with colors? Rashida: I always knew I loved colors, but It wasn’t until I was introduced to makeup and hair color as a profession that I discovered color as my passion. Color has always been the way I express myself. Thankfully my mom always influenced my experimental nature, so when I asked for painting supplies and science kits she acquiesced. It often led to paint on things and something on fire, but she overlooked that part. I was voted most hair color for senior superlatives. Copa: How did you develop your zest for fashion? Rashida: My Grandmother and Aunt Daisy truly influenced my fashion sense. Maude always made sure I was dressed to the nines for every occasion. Theses 2 classy ladies had a hat and pair of shoes for every outfit and always wore beautiful colors. Seeing them dressed and always talking about the way a lady should dress set the tone for the young women in our family. During my teens I was stuck to my older cousin, my aunt Daisy’s daughter Lisa who was all about fashion. We went through magazines picking out looks and outfits then scoured stores from century 21, boutiques, to Marshall's. Copa: What is your philosophy behind color, style and makeup? Rashida: My philosophy on beauty is that “People make the best canvas!” I mesh artistry and science together to create looks that people wear proudly and confidently. My hair color clients are very diverse trendsetters from the boardroom to the entertainment industry. I ‘m always updating my skills and looking for their best technology to help my clients achieve their look and maintain healthy illustrious hair. Makeup is completely a time when I’m creating a masterpiece. I’m like a child with art supplies. When I’m finished it’s all over me. Copa: In your opinion, what does it really take to regard one’s self to be a professional in the business of fashion? Rashida: In my opinion it takes time, drive, and a dedication to creative perfection to consider yourself a professional in fashion. In my opinion fashion only has 1 rule, which Tim Gun say’s best “make it work.” What ever you do; whatever you wear; however you want to look; and certainly whatever you create; mean to do it and Make It Wurk!” When I see my work on day 2, all I see is what could have been done better. I think this gives me an edge because I don’t just want to correct, I want to perfect, which is impossible. This means a lifetime of striving to improve. Rashida: Fashion is my passion because fashion is living art, history, and a universal language. Makeup, hair, clothing, accessories all contribute to the gestalt of the piece. Fashion is so much it’s hard not be passionate about it. Copa: What influenced your move to the DC area? Rashida: I came to DC to go to Hair school. Copa: Fashion Shows: What is your opinion of what you see out there and what are your shows are all about? Rashida: If you are referring to shows in DC, they are interesting. I’m glad to see we are showing off our creative side. There are many fantastically talented artists of many genres here. 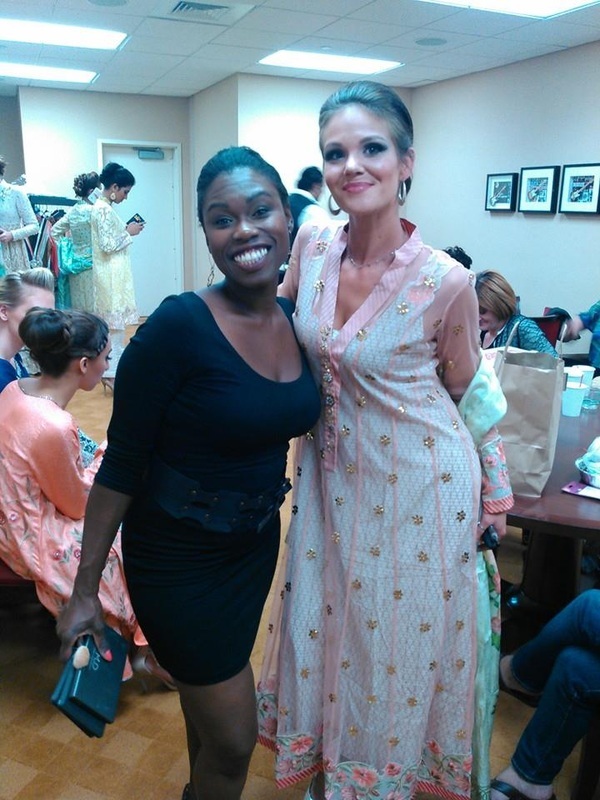 The shows I participate in are either for a cause close to my heart and/or professional runway shows. Working with professionals is beneficial, and vital to your growth. Copa: Please share your views and details of your most recent show? Rashida: Our recent show was a project close to my heart because it celebrated Caribbean heritage and culture. 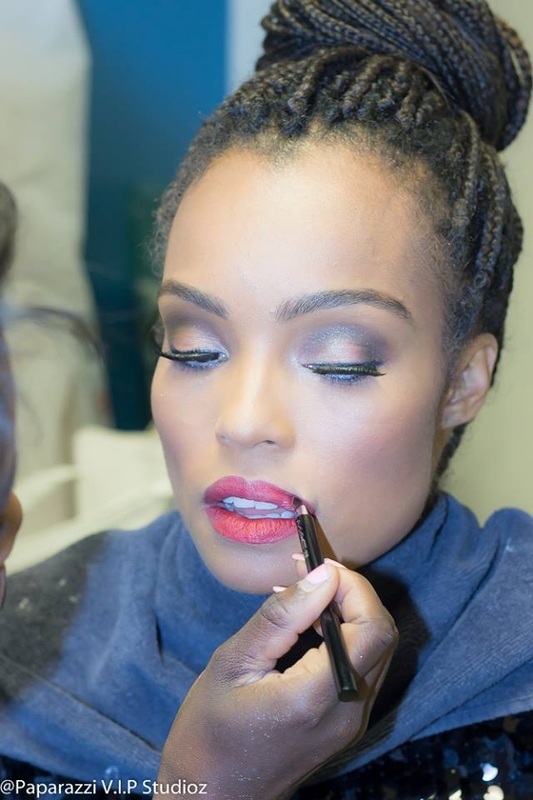 The Karib Nation Fashion Show celebrated some of the Caribbean’s top designers and beauty. My Hybrid Elements team of glambots pulled off an excellent show. In the day’s leading up to the show my assistant Terrell and I worked closely with the show director D’March to come up with the perfect look to accentuate the natural beauty of the talent that was hired as well as the clothing. 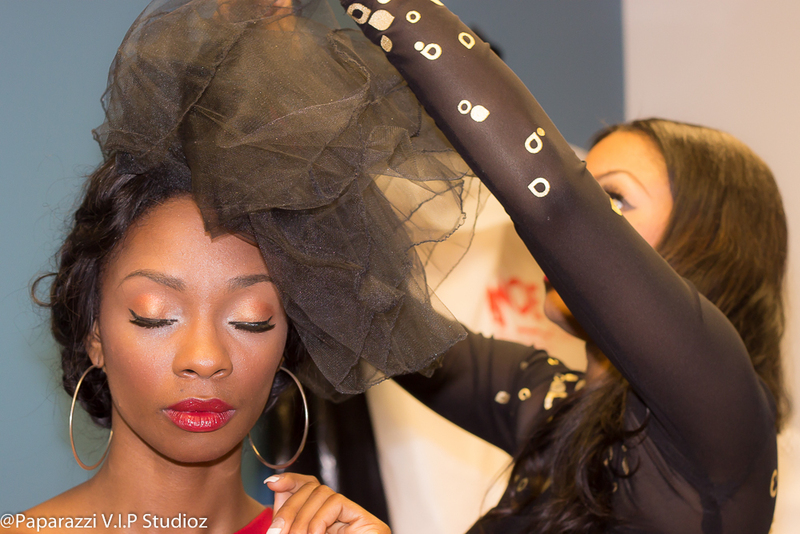 On the day of the show we were able to execute our looks and have the models ready to be dressed on time. Copa: Is there really such a thing behind the scenes of a fashion show uniquely describes as ‘organizational kaos? Rashida: “Organizational kaos” is one way to put it. Everyone knows where they need to be and when, but it has to be done quickly and in a uniformed fashioned so it tends to be busy, busy backstage. Girls and guys getting in and out of clothing, designers, the makeup chairs seeing heavy rotation, hair flying, camera’s snapping…ahhh! Rashida: Rashida Lambert is fulfilling her dreams. Expanding in every way! I see us expanding our clientele, our list of projects, our skills, our goals. Hybrid Elements currently operates throughout the DMV, Philadelphia, New York, and soon Atlanta. I want to grow the Hybrid Elements brand. We are currently busy with our private clients, corporate work, weddings, print, runway, and so much more. Our team is so talented and professional I’m excited for the world to continue to watch us take the fashion and beauty world by storm. Copa: We understand that Terrell Edmonds is a vital part of your team. Please tell us about him and what makes him special? Rashida: Terrell Edmonds is my support system . Since he's come aboard I've been able to double my productivity. We are a mobile business, so having Terrell as the first contact with Hybrid Elements gives me the security that my clients will be greeted with a certain level of professionalism. He also makes sure I stay on schedule and organized. Terrell has a strong background in fashion and is also a photographer. As a beauty and fashion business, having a photographer on your team gives you an extra set of eyes. Hybrid Elements alway has great images from the events and having a solid professional understanding when working on a projects, such as weddings and shoots ensures good images. Since everyone can benefit from having a Terrell I don't mind recommending his personal services to any other company, he's a busy go getter. As long as they don't cut into my time. Lol...I'm serious!